It has been 125 years since the first wave of Ukrainian Immigrants settled in this province and the Ukrainian Canadian Congress - Saskatchewan Provincial Council (UCC-SPC) is planning celebrations throughout the year. One of the projects is an expansion of their popular Ukrainian Summer Dance Workshop. "Dance is very important in Ukrainian culture. It is one of the first ways people are introduced to our culture," says Adam Breckner, Ukrainian Dance Outreach Coordinator, UCC-SPC. Held three times since 2011, the Ukrainian Summer Dance Workshop grew out of an interest by dancers, dance groups and instructors to further develop their art form. Breckner explains that how in a regular dance class there may not be time to explore the roots of dance. Plans for the workshop also include crafting traditional headpieces, clay work, presentations about the provinces of Ukraine and how they differ from each other. There will be discussions about dance styles, steps, costumes, music, and where they come from. A presentation at the end of the workshop will celebrate what the students have learned. 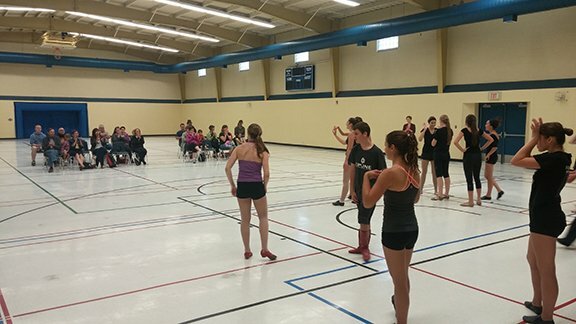 Breckner has seen students from different areas of the province make lifelong friends and gain knowledge they can pass on to their own dance groups and communities. "Culture and traditions are often looked at in an academic way through books and encyclopedia. Creativity is a way to convey the emotions and the broader themes and ideas of these traditions. It is through this creativity that an artist can develop their own story to include in the cultural narrative while finding their own voice in history. "It is through this creativity that an artist can develop their own stories to include in the cultural narrative while finding their own voices in history." “The 125 year celebration is a good way to explore the history of the immigrants coming to Canada. It is a good way to tell their story in a way that we as Ukrainians and Ukrainian dancers can share." The Ukrainian Dance and Culture Workshop will be held at St. Peter's Abbey in Muenster from August 8-12. It is open to dancers 13 years and up with an instructor mentoring element for older dancers and instructors. Visit UCC-SPC for more information.